Madagascar offers a vast array of unforgettable experiences for the visitor. Most visitors, no doubt are attracted to the island because of it’s unique landscapes and wildlife. 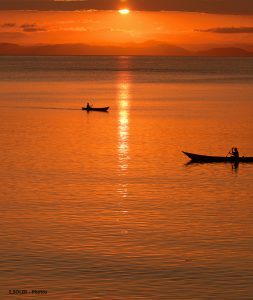 It is possible to have a conventional resort-style vacation in Madagascar, particularly on the offshore islands of Nosy Be and Nosy Boraha, and we will explore those options as well, but the unusual, and sometimes truly bizarre, will be the main focus as we explore this amazing island. Let’s start with the national parks, of which there are at least 20, from what I can tell. In addition, there are numerous protected reserves, many of which require permits and often a guide. There are so many unique creatures and plants on Madagascar that it has sometimes been compared to Noah’s ark. The eastern coast of the island is where most of the remaining rainforest is located. 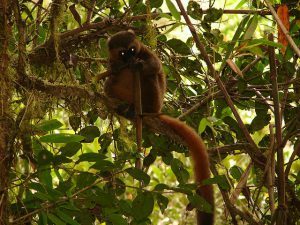 Visit Ranomafana National Park for the chance to see strange life forms, including 115 bird species, and the golden bamboo lemur. The park includes Mount Maharira, which has its own unusual and unique flora and fauna. Ranomafana has some of the most gorgeous and colorful wilderness on the planet and the diverse population of primate species counts among the richest in the world. Guided night walks and hot springs with healing properties are among the experiences offered in this UNESCO World Heritage Site. Isalo National Park is also a great location for lemur and bird watching, but features a desert landscape with deep gorges and sandstone bluffs. 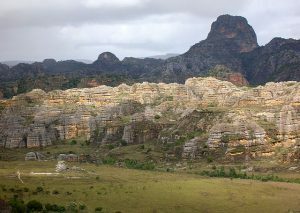 This area is the place to go for hiking, horse riding and mountain biking and is the most visited park in Madagascar. Tsingy de Bemaraha National Park. This is where the going gets rough. The tsingy are razor sharp rock formations shaped like sharp teeth. They create near impenetrable walls which create labyrinths and enclosures which hide and protect numerous micro worlds with their own distinct life forms. Cave crocodiles and the ‘John Cleese’ lemur which has long legs and a ‘silly’ walk exist in this strange world of landscapes that don’t exist anywhere else, other than within this forest of dangerous dagger blades. There are rope bridges and ladders and ‘ferratas’ or fixed cable routes that attempt to assist in exploring this most bizarre area, located in the west central part of the island, but it is definitely a matter of proceed at your own risk! 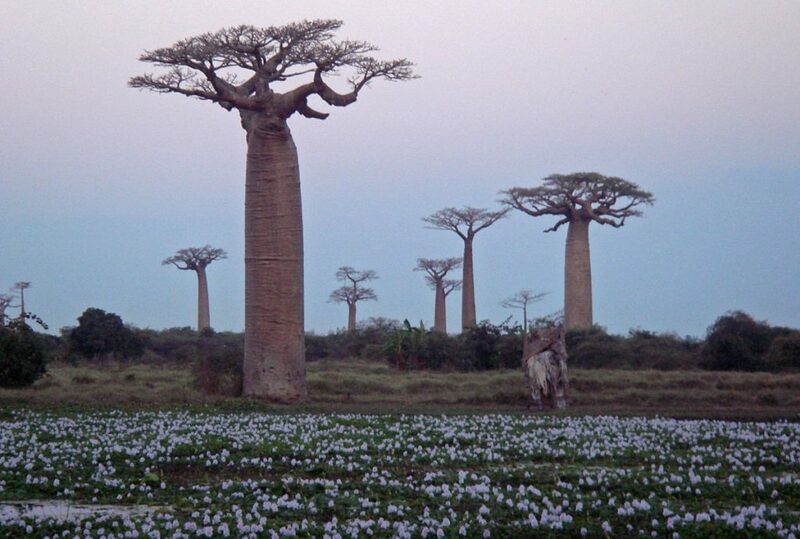 The Alley of the Baobabs, also located in the west central part of the island, is not part of a national park, but is probably the most iconic sight of Madagascar. These trees, which are said to be 800 to 1000 years old, create a striking landscape which becomes even more dramatic when viewed at sunrise or sunset. The alley is a road lined with baobabs on each side. 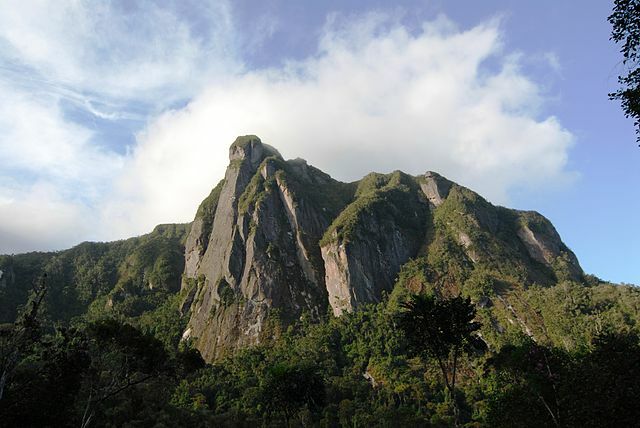 Marojejy National Park, which is in the north east, features mountains, rainforest and waterfalls. 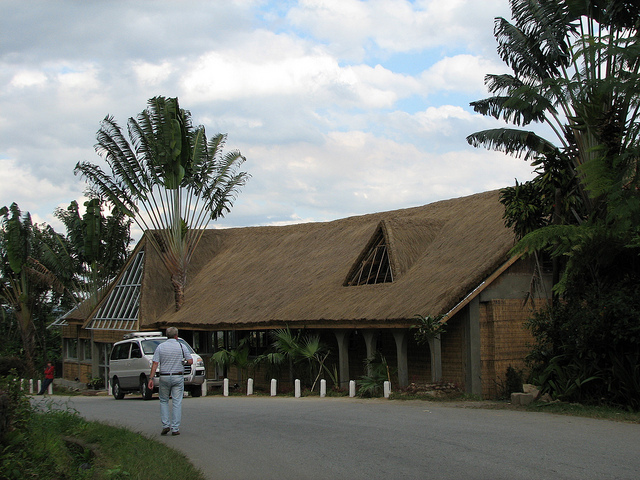 Here you can seek out the sifaka, or ‘angel of the forest’ and listen to the wail of the indri. 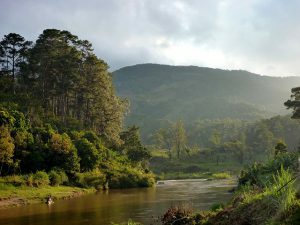 There are many rivers that cross the landscapes of Madagascar. If you are looking for utter relaxation, consider three days on the Manambolo River with a guide and pirogue, or dugout canoe. You will see spectacular gorges, but no cars or roads, and camp on the beautiful sand beaches along the river beneath an amazing night sky. Likewise, a week long rafting trip on the Mangoky River is an experience never to be forgotten and promises amazing encounters with wildlife, forests of baobab trees and a glimpse of rural Madagascar. There are of coarse roads as well as rivers, although the infrastructure is not very extensive. The RN5, a 150 mile route along the east coast, is more of an obstacle coarse than a road, but a good land route to take for an opportunity to spot the strange creature known as the Aye-Aye. The capitol of Madagascar, Antananarivo, lies on the central high plain of the island. It is a city of over one and a half million people, and the center of government, commerce and culture. Called Tana for short, the city offers a host of sights and experiences to the visitor. The city comes to life after dark with it’s night markets, where vendors sell food, toys, trinkets, designer shoes and clothing at a fraction of the cost you would pay in the stores and shopping malls. The royal city and burial ground at Ambohimanga, located 15 miles northeast of the capitol city, is a must see destination. A UNESCO world heritage site, it was the seat of King Andrianampoinimerina, who made it the kingdom’s spiritual capitol, after uniting the Merina kingdom following 77 years of civil war. 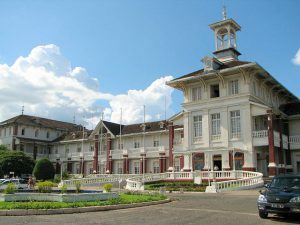 Built on the peak of a prominent hill, the royal city contains three compounds, each built with varying architectural styles, mixing traditional Merina and French colonial architecture. 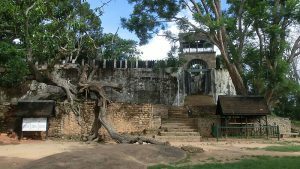 Other sights in or near Tana include a Lemur Park, the Queen’s Palace, or Rova, the Botanical and Zoological Gardens and even a Pirate’s Museum. For more about pirates, a visit to the island of Île Sainte Marie (also called Nosy Boraha) is a must. A popular vacation destination, this island off the north east coast is known as ‘the scented island’ because of the coffee, cocoa, cinnamon and vanilla grown here. Additionally, many varieties of orchids can be found, including the extraordinary ‘Queen of Madagascar’. The island is also known for it’s lawless past as a frequent destination and base location for pirates. The pirate cemetery on the island is a unique and popular tourist attraction. The island is also is a top location for whale watching in the months of July-September and offers the visitor excellent opportunities to shop for spices, rum silk, gemstones, woven baskets and more. Another island, Nosy Be, or ‘Big Island’, lies off the north west coast and is likewise a tropical beach holiday destination. One could easily spend two weeks on this island alone, hiking the trails, seeing the wildlife, visiting the spice plantations and enjoying the sailing, diving and snorkeling opportunities offered. 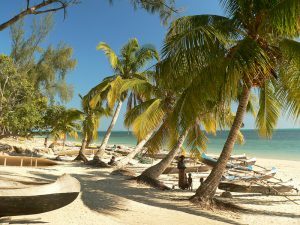 There are numerous other islands off of Madagascar where one can find secluded white sand beaches. There are also several luxury resorts. Among these are the Princess Bora Lodge and Spa on Île Sainte Marie, which offers the comforts of suspended beds and an extensive fine wine selection, the Isalo Rock Lodge, a modern 60 room luxury retreat with stunning views of the Isalo National Park, the seaside, ‘eco-chic’ Eden Lodge on Nosy Be, which has won multiple International Hotel Awards, and Le soleil des Tsingy which offers access to the Tsingy de Bemaraha Park, stellar service, and incredible views from it’s infinity pool. I’m sure you would agree, Madagascar has a lot to offer!